Local authorities announced the indefinite closure of Colombia’s iconic Caribbean Johnny Cay Island to tourists on Monday due to ongoing environmental concerns. Failure to comply with environmental regulations, coupled with the increasing volume of tourists, has put the island’s ecosystem at risk, according to the Corporation for the Sustainable Development of the San Andres Archipelago Department. Specifically the failings related to the disposal of solid waste, care of the environment and key species as well as hygiene in restaurants and suitable access to clean bathrooms. 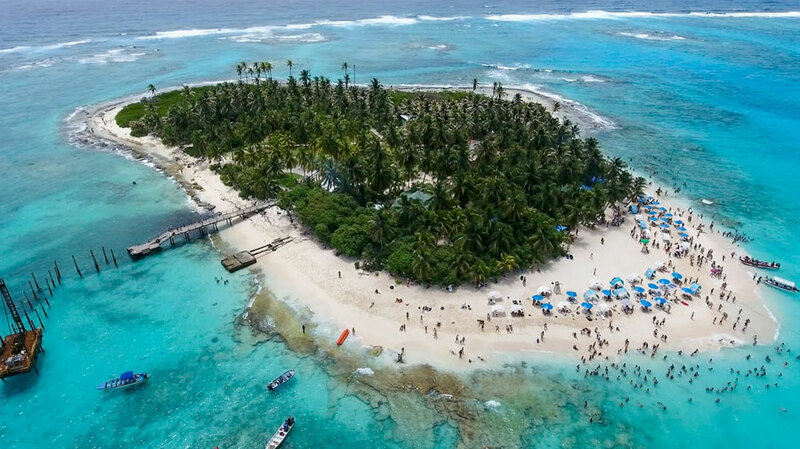 The closure was requested by the Inspector General on April 25 amid growing concerns for the future sustainability of the tiny island, which is currently on the bucket list of many visitors to tourism hotspot San Andres. It will effectively mean that visitors will not be allowed to enter the Regional Park on the Colombian island located some 120 miles off the coast of Nicaragua. In addition, the arrival of private boats and the provision of all kinds of services including restaurants, water sports, and other activities are prohibited. Vessels however of an official nature, “whose purpose is matters specific to their powers and functions” will be excluded from the ban, clarified local authorities. Johnny Cay Island is officially called Sucre Island. It is located 10 minutes by boat ride from the northern coast of San Andres. The island is popular because of its white beaches and shallow surrounding waters, which are often used for snorkeling. However, the increased tourism activities have damaged the local ecosystem and has replaced part of the islands’ original palm tree vegetation with grassland. According to the Inspector General’s Office, the governor of San Andres “has not carried out due monitoring” of tourist activity on the island. The closure of Johnny Cay, will allow it the opportunity to recuperate its natural flora and fauna, claimed the Inspector General’s Office.